Rep. Labrador isn’t the only one who thinks that health insurance is of little importance. In a recent opinion piece on Forbes (it’s in the June 29, 2017 issue), I found the following claim from eponymous publisher Steve Forbes (R-Rich Folk), “Shockingly, reputable studies have found no difference in the health outcomes of people on Medicaid and those who have no insurance.” This sentence needs a lot of unpacking, so lets start with his sources. None of the “reputable studies” backing up this claim were cited in his opinion piece, making it difficult to understand what he’s talking about. I guess we should just be thankful that he decided to cite unidentified reputable studies instead of those that are generally held in disrepute. I reached out to Forbes (the magazine, not the man) several time in an effort to track down and read what are undoubtedly some very important studies, but I never got a reply. I’m guessing that Forbes was referring to this 2013 article published in his own magazine by staffer Avik Roy. The article is about a two-year Oregon study that compared “physical health outcomes” between Portland area patients on Medicaid and those who didn’t have this insurance coverage. The majority of Roy’s article is devoted to explaining why the results obtained in this study wouldn’t be valid (and he’s right) for a wide spectrum of reasons. After doing that, Roy then accepts the overall conclusion of the study, which was that for the few measures that it tracked, there was little overall difference between “outcomes” of the two groups. I found it bizarre that he accepted the studies conclusions after tearing apart the flawed methodology and assumptions under which it was done. Read this opinion piece in the New England Journal of Medicine to gain more insights into the flawed arguments being used by those who don’t think Medicaid improves the health of patients covered by it. Having no insurance would not have changed your “physical health outcomes” as they were defined in this study. Put another way, you can be very sick or injured, but that won’t be reflected in this very limited set of four health measurements. Back in the real world, no one ever asks you about your healthcare outcomes. Instead, your friends will ask you: how are you feeling? And you won’t think about outcomes either. You’ll likely respond with either “I’m feeling pretty good” or “I feel like crap.” I’ll wager that folks without health insurance are more likely to respond with the latter phrase compared to those who are insured. Few people have a clear understanding of the population that Medicaid provides healthcare benefits to. Who are these poor people? Among its recipients are millions of children with special needs, working-age disabled adults, and elderly folks. Whites make up the largest percentage of recipients (41%), and this group receives nearly 52% of the money spent on the program. A recent report in the Annals of Internal Medicine estimated that for every million people who lose health insurance coverage, about 1,300 people would die prematurely. In the last Republican healthcare plan to be scored by the Congressional Budget Office, the CBO determined that 22 million Americans would lose coverage over 10 years. The current plan being discussed is also likely to take health insurance away from millions of Americans. Not estimated is the amount of suffering that will take place, but won’t be fatal, if millions of people lose their health care coverage. 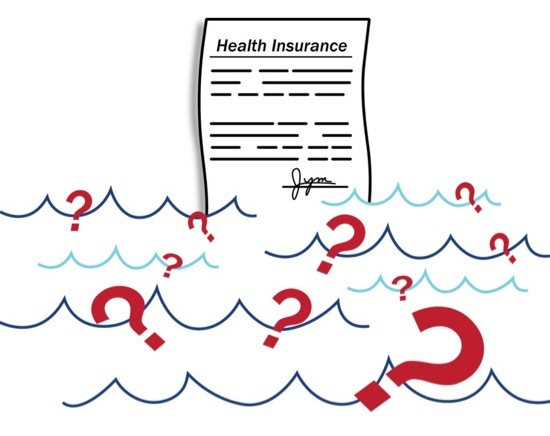 “What difference would health insurance make if the uninsured were provided with coverage? First, they would be likely to use more services like timely preventive care and chronic disease care that match professional guidelines. They would also be more likely to have a regular source of care. Most importantly, if adults were insured on a continuous basis, their health would be expected to be better and their risk of dying prematurely reduced. Health insurance isn’t just about your physical well being. Huge medical bills are the leading cause of personal bankruptcy in the United States. None of the anti-insurance analyses cited by Forbes and other Republicans focus much attention on quality of life issues either. These are every bit as important, and in many cases more so, than actual outcomes. Patients newly diagnosed with terminal diseases, such as ALS or Alzheimer’s, are generally not yet feeling physically terrible when they get the bad news from their doctors. The mental toll that their illness imposes on them at that point, however, is devastating. In 1947 the World Health Organization came up with a definition of the term health: “Health is a state of complete physical, mental, and social well-being and not merely the absence of disease or infirmity.” We would do well to keep this definition in mind as we debate the value of healthcare in our society. If you want to see just how difficult life can be without insurance, read this account of life in rural Clay County, Georgia to see how the poor get by in a county with only a single healthcare provider. I suggest we try to sign up those who want to take away health insurance coverage through Medicaid to participate in an observational clinical trial. Let’s provide them with the same healthcare options available to the good people of Clay County, and compare their health outcomes with those of a matched population group who do have insurance coverage. I’m sure there’ll be no problem finding volunteers for this study.